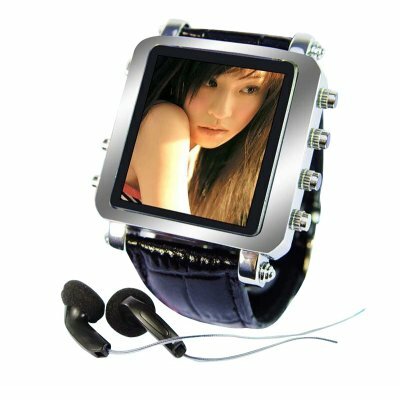 Successfully Added Mens Metallic Watch MP4 Player 1GB - 1.5inch OLED Screen to your Shopping Cart. Mens Metallic Watch MP4 Player 1GB - 1.5inch OLED Screen. Fashion at last meets MP4 Player Wristwatch Technology with the X18A by Chinavasion! If you want a MP4 Watch that you can wear with you to work, then this is the product for you. This MP4 + MP3 digital media watch features a 1.5 inch screen for clear time and video display, metallic construction, and professional quality synthetic leather band for maximum all day comfort. In addition, this model is loaded with features such as digital time and date display, MP3 music player with lyric display, picture viewer, earphone jack, multiple language choices, and so much more. What more could you ask of such a beautiful looking watch? Available for single piece or bulk stock orders, get one to try for yourself and then order larger quantities to resell on eBay or your own internet store for maximum profits.